Pomfret recipes are an integral part of the sea food culture near the coast of the Atlantic, Pacific and Indian oceans. Some of the most popular ways to serve pomfret are: fried, baked, grilled smoked etc. 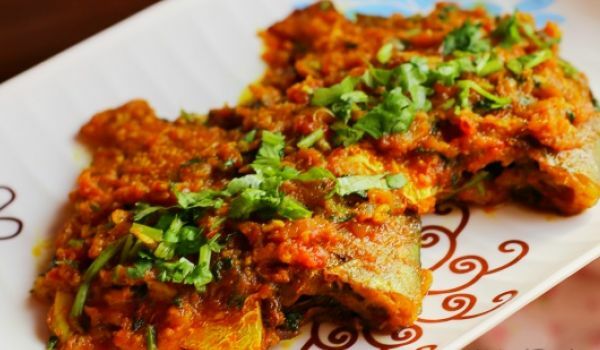 Try any easy pomfret recipe from our variety of delectable pomfret recipes and learn how to make pomfret. 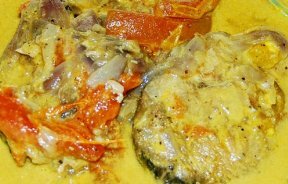 Pomfret Fry is a mouth watering fish recipe. 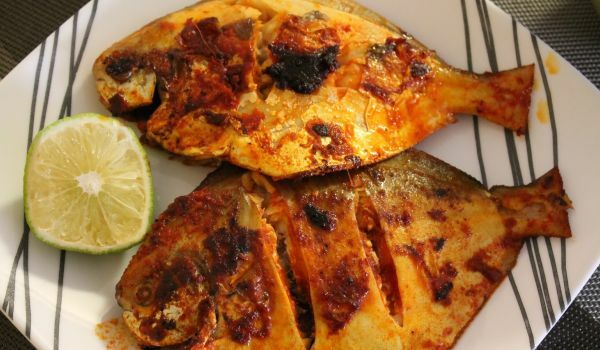 Learn how to make/prepare Pomfret Fry by following this easy recipe. 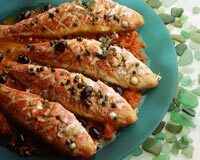 Grilled Fish also known as Pesce alla Griglia is a very popular recipe. Learn how to make/prepare Grilled Fish by following this easy recipe. Pomfret Green Masala is a spicy South Indian delicacy. 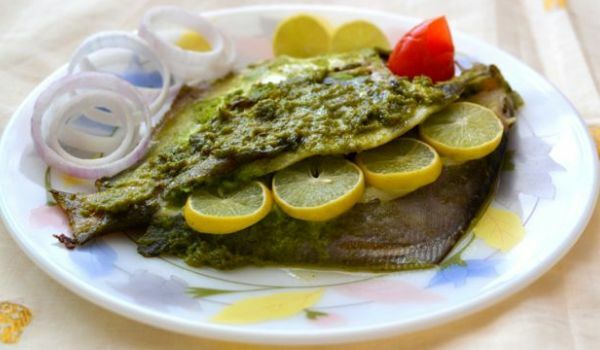 Learn how to make/prepare Pomfret Green Masala by following this easy recipe. Pomfret is one of the most-loved fish in Bengali cuisine, mainly because it's delicious and it doesn't entail the cumbersome process of deboning. Cook this delicious fish in a sauce of mustard paste, and you'll crave for it every time you buy fish. Masala Fried Fish is a very popular recipe. Learn how to make/prepare Masala Fried Fish by following this easy recipe. Malaysian Fish Curry is a spicy and tangy recipe. Learn how to make/prepare Malaysian Fish Curry by following this easy recipe. Crispy Pomfret is a perfect dinner recipe, especially for fish lovers. Learn how to make/prepare Crispy Pomfret by following this easy recipe. Smoked Fish is a very popular recipe. 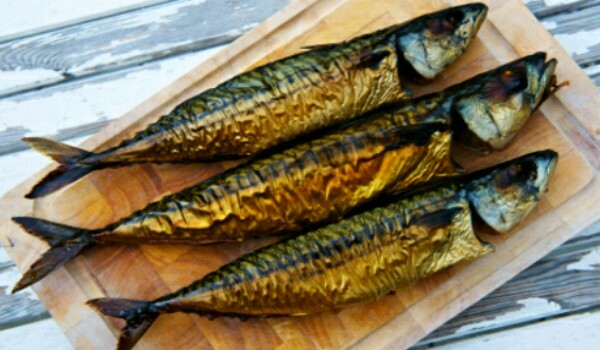 Learn how to make/prepare Smoked Fish by following this simple & easy recipe. Flat Fish with Salt is a very tasty way to grill fish. 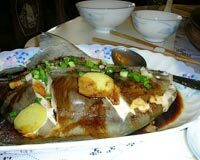 Learn how to make/prepare Flat Fish with Salt (Karei Shio-yaki) by following this easy recipe. 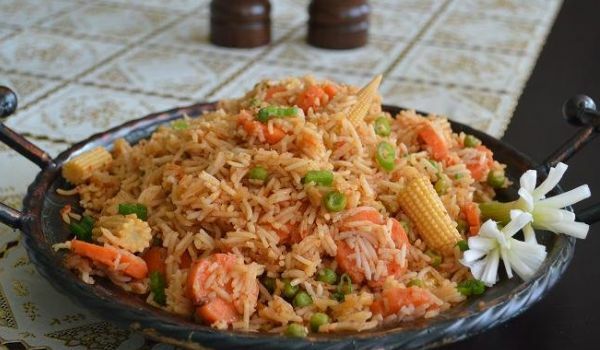 Molly Fish is a very popular kerala recipe. Learn how to make/prepare Molly Fish by following this easy recipe.